Is there anything Glock produces quite as well as it does 9×19 pistols? 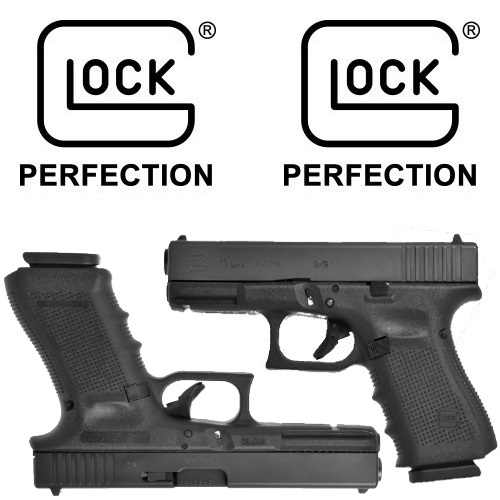 Here at Gunivore, we’ve covered Glock’s 9×19 pistol line extensively in the past – from the standard G17, to the compact G19 (also see our updated G19 feature), to the subcompact G26, to the subcompact slimline G43 – Glock has produced an incredible line of 9×19 handguns which make for excellent open or concealed carry options for gun owners. However, as has been noted repeatedly in our previous features, the truth is that no two gun owners are exactly alike. This means that different gun owners are going to have different needs and expectations from their handguns. No matter how excellent the 9×19 line of Glock’s are, some people are going to want a little more stopping power out of their pistol, or more than a Glock 9×19 can provide. That’s where the .45 caliber guns come into play – and in particular the .45 caliber Glock 21 Gen 4, which we will thoroughly cover here in our Glock 21 Gen 4 Review! Many gun owners, and particularly law enforcement officials or those engaged in active military service, prioritize owning a higher caliber and getting greater stopping power out of their handguns. While the ‘average joe’ gun enthusiast might have a smaller size, ease of use, and efficiency on their mind, which would steer them in the direction of Glock’s more compact handguns, a great number of folks have been looking for Glock to provide a higher caliber handgun. Glock has provided an excellent option for these gun owners in the Glock 21. While many gun manufacturers have compromised on a number of features in the making of their own .45 caliber handguns, Glock has managed to produce a .45 caliber handgun that offers the power of a larger handgun along with the ease and practicality of a smaller handgun. This is particularly apparent in the build, grip, and ergonomics of the weapon, and especially in the Gen 4 model which features the new Glock dual recoil spring assembly for reduced kick and wear. Length – 204 mm / 8.03 in. Width – 32.50 mm / 1.27 in. Barrel Height – 32 mm / 1.26 in. Length Between Sights – 172 mm / 6.77 in. Barrel Length – 117 mm / 4.60 in. Unloaded – 830 g / 29.30 oz. Loaded – 1085 g / 38.30 oz. Trigger Pull – ~2.5 kg / ~5.5 lbs. Trigger Travel – ~12.5 mm / ~0.49 in. Barrel Rifling – Right Hand, Octagonal. Length of Twist – 400 mm / 15.75 in. The size of the Glock 21 makes it an active-duty pistol, but the classic polymer frame of the gun helps it weigh in at a surprisingly light 29.30 ounces. The ergonomics of the gun are unsurprisingly excellent – this is a Glock we’re talking about, after all. The gun is well-built, aesthetically pleasing, and the texturing of the grip feels just right – while some of these factors are subjective, the G21 build is a proven crowd pleaser. The .45 caliber G21 is of a relatively larger size, which means that your mileage may vary as far as comfort and feel depending on your hand size. However, the modular design of the Glock 21 Gen 4 is seen in the interchangeable back straps of the gun, of which five are included. This allows owners to swap out backstraps to their heart’s content, and the number of options available makes it hard to imagine a gun owner who couldn’t find an option that works for his or her hands. This is an immensely helpful feature and is part of what makes the G21 yet another user-friendly and accessible Glock gun. Also newly featured in the Gen 4 model of the G21 is a reversible magazine catch, as well as the previously mentioned dual recoil spring assembly. In addition to the shooting improvement offered by the new spring system, which we will cover more extensively in our shooting section of the review, the spring assembly helps the gun achieve a longer spring lifespan. Overall, the Glock 21 is a well-built gun, and the Gen 4 model is even more high-quality offering from a company that knows more about handgun quality than any other. There’s usually one primary reason a gun owner would prefer a pistol of a larger size and caliber, and that is for the superior stopping power that a heavier-duty gun like a .45 caliber can provide. One drawback to a .45 caliber handgun can be excessive kick and recoil, which can make for an inaccurate, difficult shooting experience. The Glock 21, however, does not suffer from this shortcoming – essentially, you’re getting the best of both worlds when you fire a G21 in having both increased stopping power and an easy handle. The superior build quality of the G21 Gen 4 is a large part of what brings the kick and recoil to a manageable level, and it should be noted that this is particularly impressive given the light weight polymer frame of the gun. Also helping handle the load is the dual recoil spring assembly, which diminishes the already controllable kick felt in earlier generations of the Glock 21 and brings it down to a world-class level in the Gen 4 model of the gun. The key when it comes to the Glock 21 and its appeal, however, is in the deadly accuracy of the gun. While the G21 is remarkably soft shooting, it is also remarkably accurate – again, this is a monumental achievement for Glock to have crafted a firearm that fires with the softness of a smaller handgun, the stopping power of a .45 caliber, and the accuracy of a Glock. Overall, the Glock 21 Gen 4 is truly a pleasure to fire – give it a test drive before purchasing down at your local range to see for yourself. The Glock 21 comes equipped with a standard-issue 13-capacity magazine – an impressive number of bullets for a .45 caliber weapon. There are first- and third-party extended magazine options available for those who are interested, but 13-rounds is really more than satisfactory for a handgun of this size. Additionally, the magazine well of the Glock 21 Gen 4 (newly redesigned for the Gen 4 – this description does not apply to earlier iterations of the gun) is, to put it simply, world-class. The magazine catch is easily reversible and far more intuitive than any other handgun of this caliber can offer – magazine release and loading is seamless and requires virtually no grip change or invasive maneuvering. The well accepts magazines smoothly, and the catch is solid and reliable enough to eliminate any kind of fear of accidental release or malfunction. All in all, there isn’t much to find fault with when it comes to Glock 21 Gen 4 mags. One of the only areas of fault that people have somewhat consistently found with Glock handguns has been in the sights of the weapons. The problem has not necessarily been that the Glock sights have been poor, but rather underwhelming, and not up to par with the standard-setting quality of the rest of the makeup of Glock handguns. This is something that the Glock 21 Gen 4 has sought to improve on, and it most certainly has. Coming equipped with standard Glock MH3 steel three-dot night sights, the G21 sights are well-built, precise, practical (thanks to their nighttime friendliness), and good-to-go right out of the box. Sight rating can sometimes come down to personal preference, however, which is why you’re always best off with a Glock when it comes to sight-selection – Glock handguns offer more options for accessorizing and customization than any other handgun company in the world. Boasting an absolute wealth of options for gun owners looking to swap out and try different kinds of sights, if the Glock 21 Gen 4 factory sights aren’t the right ones for you, you’ll be sure to find the ones that are. The mantra of every gun owner should be ‘safety first’, as it is with Glock, and as is evident in the manufacturing of Glock handguns. As is the case with all Glock pistols, the Glock 21 Gen 4 is equipped with the revolutionary and patented Glock ‘Safe Action System’ – a three-part, fully automatic safety system designed to ensure that the Glock pistol experience is as safe as can be. The three-part system breaks down as follows: First up is the Trigger Safety, which is incorporated into the trigger and when engaged, blocks the trigger from moving backward (the trigger safety and trigger must be engaged together in order to successfully fire). Secondly, the firing pin safety is a spring-loaded blocker of the firing pin. When the trigger is engaged, the firing pin channel is cleared, and during the slide cycling process, the firing pin safety re-engages. Lastly, we have the drop safety, a trigger bar which prevents unwanted firing from occurring in the event of drops or other accidental mishaps. 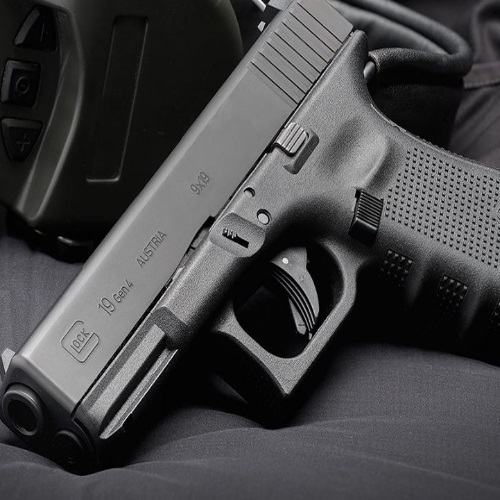 Overall, the Glock ‘Safe Action System’ featured in the G21 Gen 4 is about as safe as a pistol safety system as a gun owner could hope to have – all Glock 21 owners can rest easy knowing they’re using about as safe of a pistol as possible. When you’re talking Glock, you’re talking about a gun manufacturer and a brand whose overwhelming popularity has led to more accessory, modification and customizable options that can be found with any other gun company in the world. The Glock 21 Gen 4 is no exception – enjoy an excessive number of accessories for the Glock 21 that are produced and sold by third-party companies as well as Glock itself. The polymer frame of the G21 features a Picatinny compatible accessory rail that is molded into the gun and accepts any number of accessories. From sights to grips, to holsters, to extended mags, to lasers and lights, you could spend a long time tweaking and perfecting your G21 experience until it is perfectly and ideally customized for your own personal needs. Looking for a .45 caliber handgun that provides all of the power you’d expect from a .45 cal but with none of the compromises or shortcomings that you might expect? Look no further than the Glock 21 Gen 4. Featuring all of the good and none of the bad, the Glock 21 Gen 4 is a high-quality offering right out of the box, and one that can be easily fine-tuned and altered to suit your exact needs. With the Glock 21 Gen 4, the Glock has done it again and re-affirmed its standing as the world’s leading handgun manufacturer. Thanks for reading our Glock 21 Gen 4 Review – be sure to check back for more on Glock here at Gunivore! While you’re here, give our Benelli Super Vinci and M2 reviews a look! Very good review on very good pistol. I have about 1000 trouble free rounds through mine. It’s a great alternative to a pricey 1911.Often with 1911 you have to break them in before they become trouble free. Not so with a G21. After all it’s a Glock. When I first started shooting it I was surprised how easy and fast it is to get on target. I get extremely little muzzle rise. The kick comes more straight back rather than up. I’m not sure why that is but I like it. Whether your at the range or if you need them the 13 round standard mag is a real plus over 1911s. My G21 gen 4 isn’t my EDC but it’s my favorite range gun. Thanks for your input Frank. It’s a shame that the G21 is often overlooked because of the G17 and G19, but it’s certainly a solid .45 pistol.